Race Car Form Should Always Follow Function But Remember, Appearance Counts Too. Dan Gurney’s 1967 Eagle Mark 1 has been described as the most beautiful Formula 1 car of all time. Shouldn’t all race cars be designed toward the same aspiration? This blog will begin and end as a tribute to Dan Gurney, perhaps America’s finest combination of driver, race car builder, innovator and nice human being ever. He passed recently, at the ripe old age of 86, an unusual feat considering how dangerous racing was when he was making his historically unmatchable mark. The implication of that statement is clear, and while it may seem like the following text is meant to bury, not praise one particular race car builder, that is not my intent. I’m only making a one-man’s-opinion observation before throwing out a suggestion. Dallara has been around since 1972. 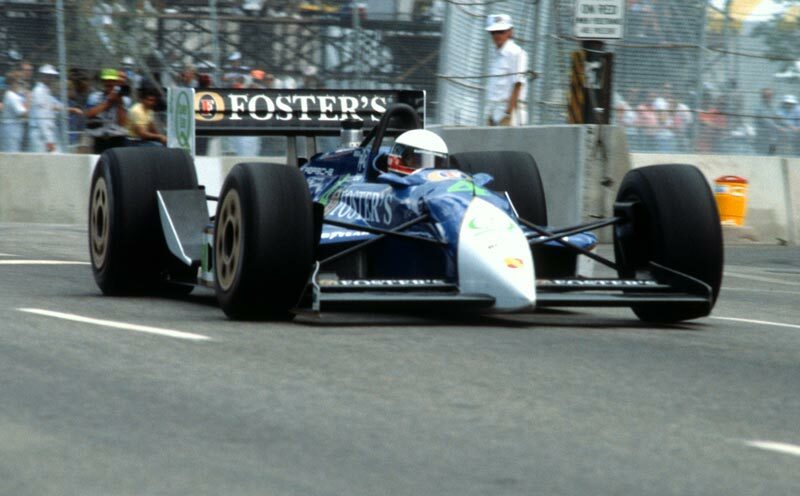 They entered F1 in 1988, built their first IndyCar in 1997 and have been the series’ spec chassis provider since 2007 – using a car they introduced in 2003, which lasted for nearly a decade. It was not their most attractive product, boasting a too-long mosquito-like pointy nose. In 2012 the Italian company introduced the DW12, named in honor of the late Dan Wheldon, who did most of the test driving in developing the new spec IndyCar chassis. The car ‘s front end went from mosquito to platypus. Upon its introduction more than a handful of racers opined it was, perhaps, the ugliest race car they’d ever seen, especially in comparison to some of the proposed IndyCar designs from Swift, Lola and BAT. Form followed function. It was a very good race car despite its ungainly appearance. Then in 2015 the DW12 sprouted Chevy and Honda -designed aero kits. They took an already unattractive car and made it worse, with zero benefit to the IndyCar brand. Intended to allow the two engine suppliers to differentiate their cars via bodywork, it missed the mark completely — although it did makes the cars faster. And Chevy’s were better. After realizing the aero kits were an expensive mistake, Jay Frye and IndyCar directed Dallara to update the car again, this time with universal bodywork while paying special attention to giving the driver more control over how fast the race car would run related to his or her competitors; i.e. less downforce. Apparently, mission accomplished. Early tests indicate the new 2018 DW12 Version 3.0 is going to be a much better race car, that’s the good news. They’ve eliminated the Kardashians, and the intake inlet behind and above the roll bar and all (well, most) of those obnoxious winglets, tabs and vanes. It looks one hell of a lot better that what’s been racing for the past six seasons. I can’t wait for St. Petersburg and Phoenix. I’m excited about the new Dallara. Just not a huge fan of the still flat-ish proboscis. Any race car’s front end is the first thing people notice. It’s the face of the product the series will base its success upon, as long as the racing remains great. We won’t mention the handsome, English wheel-formed noses from the roadster and 1961-1971 rear-engine IndyCar eras because fore-positioned radiators were functional and form was what followed, usually quite pleasing to the eye. But we will reference the noses on some of the most beautiful ‘modern’ (ground effects, radiators on the sides) cars to ever grace champ car racing in America from AAR, Chaparral, Galmer, Lola and March to Panoz, Penske, Reynard, Truesports and Swift. 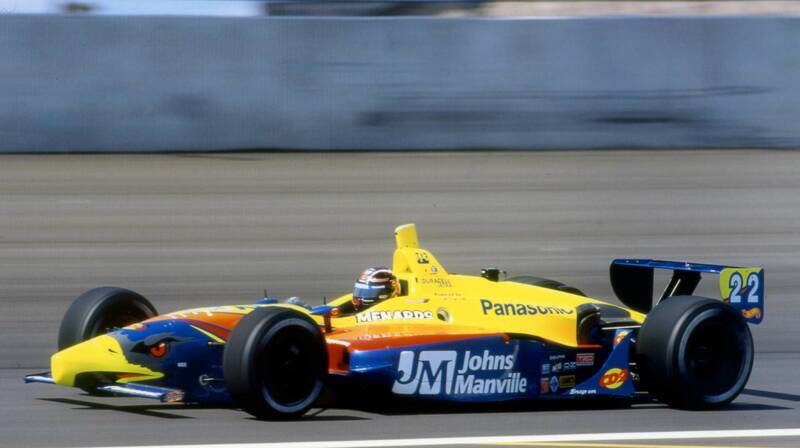 One of my favorite cars was the Penske PC27, designed by John Travis. It was Team Penske’s last shop-built open wheel chassis before moving to customer and then spec cars. The car’s nose was heavily F1-ish, pretty as could be, and very efficient. Al Unser, Jr. said it was the best car he’d ever driven. It’s dismal results (in 30 races it’s best finish was 2nd) were more because of Penske’s contract with Goodyear at a time when Firestone had a significantly better tire. Here is a photoshopped image that illustrates what the 2018 car would have looked with a Penske-inspired front end. 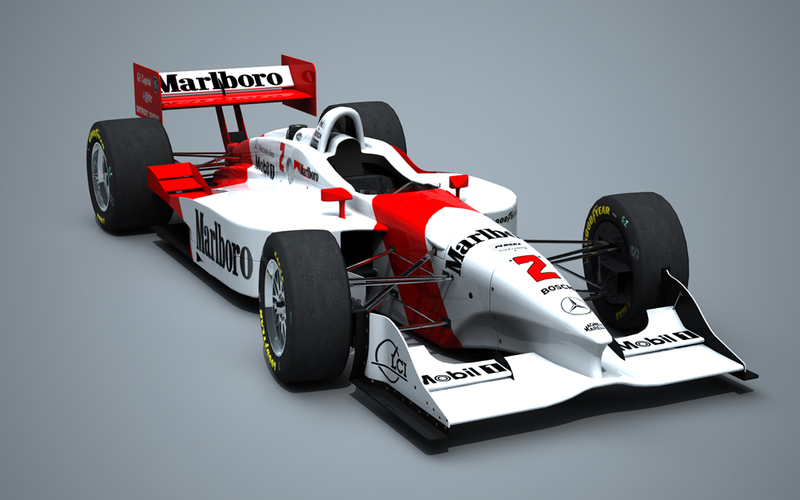 It would have been just as pretty, or at least an improvement of what now exists, with a nose lifted from any of the other most popular pre- and post millennium IndyCar chassis. I wish the 2018 aero kit would have reflected the consideration of visual impact as function, not form as a byproduct. From the front end back, I have no real complaints with the Dallara. But the nose still reminds me of Ornithorhynchus Anatinus. No matter, we have what we have, let’s talk about what’s to come. I believe IndyCar is now considering two options for 2021 or 2022: an all-new car or one more evolutionary update to the DW12. Hopefully there will also be one or two new engine partners to add more excitement to the series. So here’s my suggestion. If another update to the DW12 is the best option, find a good designer to hold sway over the engineers. Make it look fast while standing still. Pay attention to aesthetics. Do a better job on the nose and front wing. And if an all-new car is going to be built, how ‘bout a hat tip and aero format inspiration/direction from Dan Gurney, aka The Big Eagle. Gurney often said his favorite Eagle was the 1981 BLAT (boundary layer adhesion technology) IndyCar. Most famously known as the Pepsi Challenger, with a Chevy-based V8 engine, it was so potentially successful that both the aero concept and stock block motors were eventually banned. The BLAT technology was good enough to be outlawed nearly 40 years ago, mainly due to politics. It has proven itself most recently with the DeltaWing sports cars. It still works. The science and characteristics of air flow haven’t changed but knowledge and the ability to apply what’s been learned has certainly advanced. 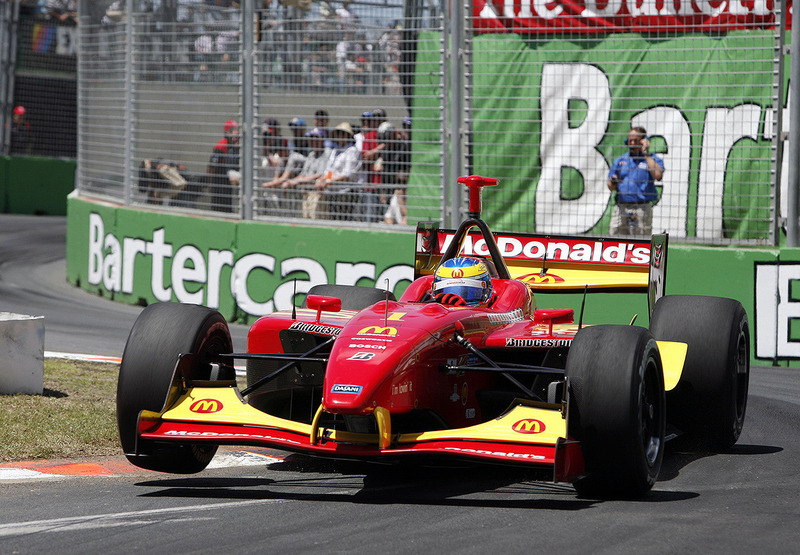 So I am preemptively throwing the suggestion of a new Dallara DG48 car into the next-gen IndyCar ring. Make it safe, make it fast, make it so driver ability takes precedent over downforce. Make it different than Formula 1 or any other open wheel series on the planet. But most of all, make it beautiful. If you want pretty make sure Dallara isn’t the constructor.